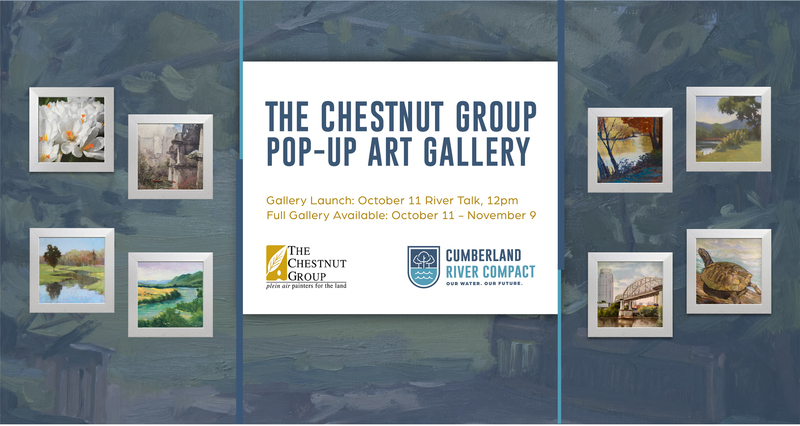 The Chestnut Group is honored to be partnering with The Cumberland River Compact again for a show which will open with their River Talk event! Event registration is FREE. A boxed lunch can be reserved for you for $10, or you are welcome to bring your own. The art show will remain up and available for purchases from October 11th until November 7th in the River Center event space. 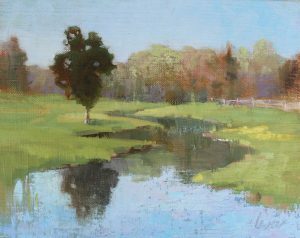 Join representatives from The Chestnut Group to learn about how plein air painting is used to promote land and water conservation. 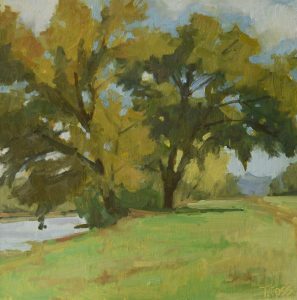 They will discuss the history of the group, mission, and plein air painting technique. 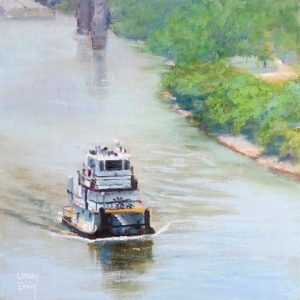 This talk kicks off The Chestnut Group’s art show benefiting the Cumberland River Compact. 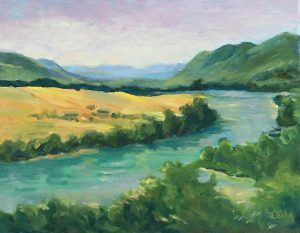 Attendees will have the opportunity to view and purchase the original paintings featuring the Cumberland River watershed. A generous portion of each sale directly aids their mission of water conservation.